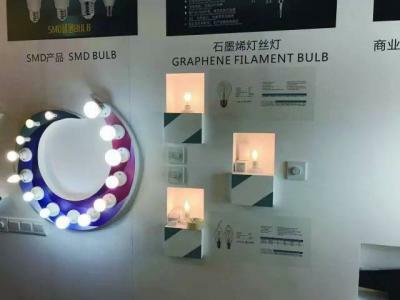 JTX (officially Shandong Prosperous Star Optoelectronics Co) demonstrated its graphene-enhanced LED lighting bulbs at the Hong Kong lighting fair. These LED lighting devices use graphene coating that aid in heat dissipation and thus contribute to longer lifetime and better efficiency. JTX is a relatively new company (established in May 2014 in China) that is involved with the entire LED lighting value chain (from LED chips and filaments to complete light bulbs). In July 2016 JTX was merged with Graphene Lighting PLC that developed the graphene lighting technology in collaboration with Manchester University and the NGI. 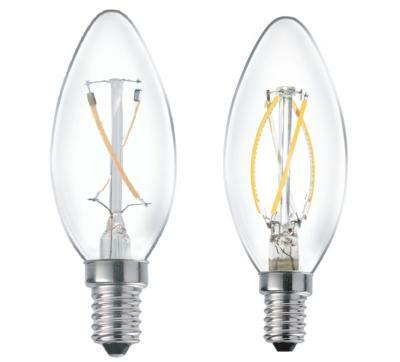 JTX currently offers two series of graphene LED bulbs, the A60 filament series and the C35 curved filament series you see above. It is not clear what are the advantages that graphene offers in these products exactly. Graphene has great potential for the lighting and display industries. To learn more about these important markets, check out our graphene for display and lighting market report.